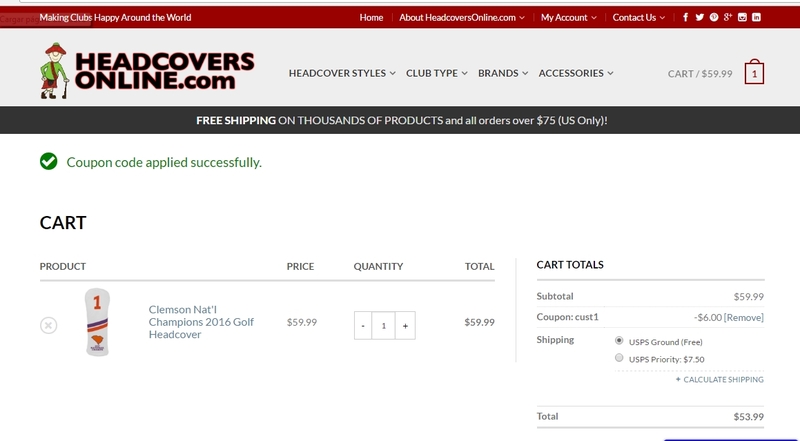 THOMAS BROWN Get 10% Off Your Order at Headcovers Online. Just enter this code at checkout to apply the discount. There may be some exclusions that will apply to this deal. Mariangela Mendoza I am validating that this deal works as described. 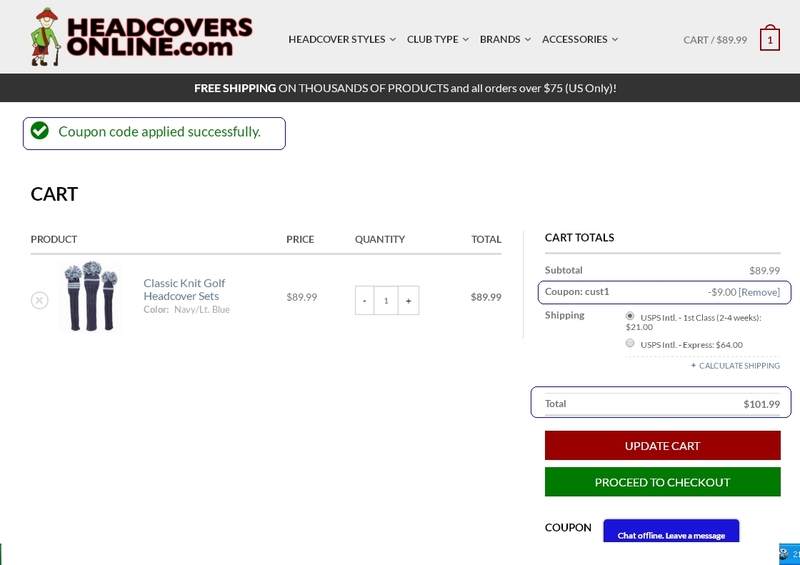 Enter code and Get 10% Off Your Order at Headcovers Online. This is a limited time offer. 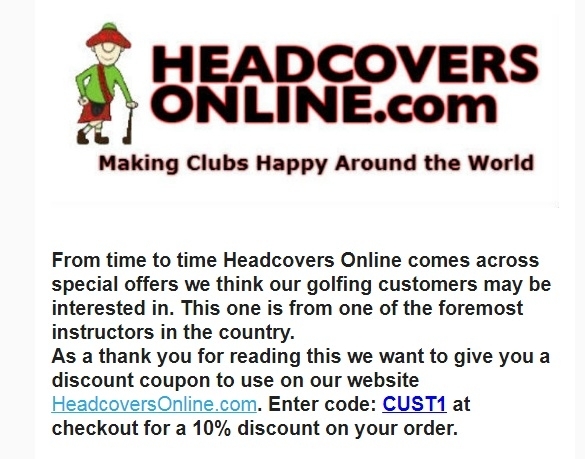 Ricardo Paste the coupon code "CUST1" at your shopping cart and get (Get 10% Off Your Order at Headcovers Online), coupon code is not redeemable for cash, store exceptions may apply. Rene Orellana Enter code at checkout. This is a limited time offer. 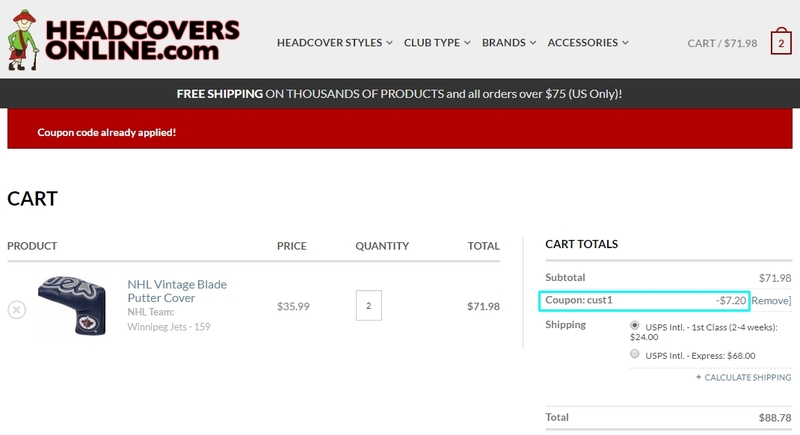 Certain offers cannot be combined with other offers, discounts, or deals. 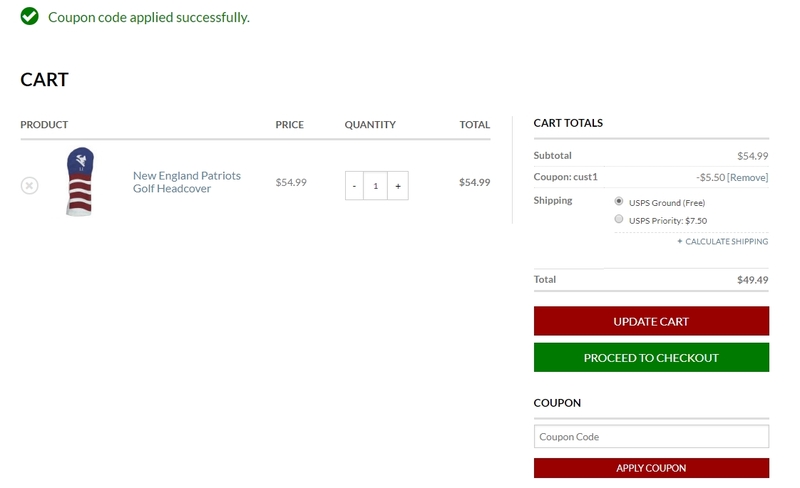 No adjustments on previous purchases. Discounts do not apply to gift cards, applicable taxes, shipping & handling charges. Coupon is not redeemable for cash and may only be redeemed. Store exclusions may apply.